For decades, science fiction stories have been predicting that flying cars will be a fixture of our future. In the second installment of the classic Back To The Future trilogy, flying cars were zipping overhead in their version of 2015. We’ve passed that date now, but progress is well under way, and new kinds of electric flying vehicles will be commonplace in just a few years time. Aviation is going electric, and things will never be the same again. Right now, the hottest area of electric aviation is the eVTOL sector. eVTOL stands for electric vertical take off and landing vehicles. The classic VTOL people are most familiar with is the helicopter, and drones are the most common eVTOL, though at present these are still limited in size application. But the eVTOL world is entering a new phase, one that is looking towards transporting passengers and cargo. Soon, flying taxis will have made their way from our imaginations to skies. eVTOLs are going to be big business. A legion of players from smaller independents to the biggest fish are jostling and competing to be the leaders in this emerging market. And there are huge investments being made. To date, an estimated $1billion has been pumped into those with horses in the race. At a rough count, more than 150 different companies are developing eVTOLs, with more and more popping up on a regular basis. There are feisty startups like Lilium and Volocopter making big progress, and established behemoths like Boeing, Uber and Alphabet pushing ahead. Everyone is fighting for a piece of the future pie. If might seem like a gamble to invest so heavily in unproven technology for a market that doesn’t yet exist, but the future payoff is predicted to be huge. 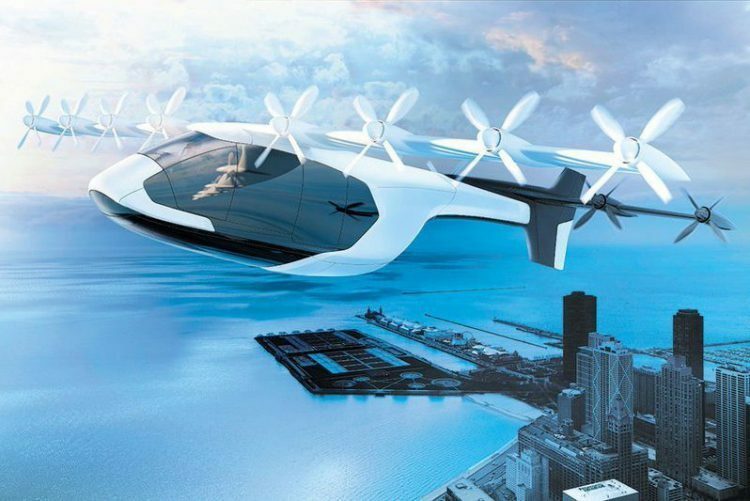 By 2035, it is estimated that the eVTOL passenger market will be worth $32 billion. Clearly a lot of people believe that flying taxis are a good investment. But this passenger market won’t appear overnight and there are a number of stages to go through before we get there. First off, there needs to be working concepts that are available. As there are so many companies working on this it’s expected that there will be eVTOLs ready for purchase and use by 2022. To begin with, it will be a nice market of privately owned vehicles for personal use. The regulations for privately owning an eVTOL will be lower than those for commercial use, so this will happen first. They will be luxury products, ultimately competing with helicopters, and the market will be small. The next stage in development will be commercially available eVTOL for passengers. It will start a testing period in innovative cities such as Dubai and Singapore, and if successful it will roll out from here. The stage for commercial passenger service is expected between 2025 and 2035. Once the passenger eVTOLs start rolling out to other major cities, we can expect them to replace current helicopter services. New York, for example, has a helicopter charter service that runs from the airport to Manhattan, flying a minimum of two passengers at a price of $985 per person. US company Blade is taking things a step further and offering a range of charter flights to a number of locations, pitching themselves as sort of the Uber of aviation. As soon as the costs of running an eVTOL on the same charter routes are lower than those of a helicopter, we will begin to see choppers supplanted by the new breed of electric flying vehicles. Also, in cities like Berlin, Zurich and Amsterdam trains are a very popular mode of transport with many stations located in the inner city. 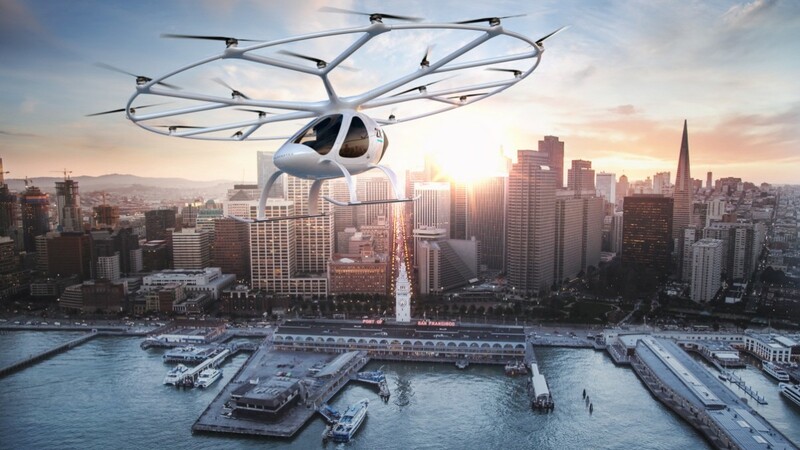 We may see eVTOL routes start to appear between popular hubs where a 5-10 minute flight would be preferable over a 30-40 minute taxi ride at street level. These are also routes that could not be serviced as easily by conventional helicopters. And eVTOLs have a number of other advantages that will mean they can grow to a be a much larger part of the mobility world than helicopters. eVTOLs are quieter and so can be used in more places, there are less moving parts in an electric vehicle and so they will be more reliable, and in the case of designs such as the multirotor Volocopter, an eVTOL will be safer as if one rotor fails then there are other rotors available as back up. Electric vehicles are by design zero emission which is a major advantage over traditional helicopters and planes. Of course, before we reach this period of wide reaching adoption there are other hurdles to get over. The eVTOLs themselves also need to go through a period of testing and iterative improvements, the regulations and certifications for this new kind of vehicle will need to be hammered out and defined, and the public also need to be willing to accept and adopt this new mode of transport and to see it as a benefit for everyone. As the electric vertical mobility market matures and the vehicles improve in range and capability we can expect to see the uses for them increase also. Journeys between cities may become much more commonplace and other uses will emerge. Search and rescue missions could be made easier and more cost-effective with the use of eVTOLs, organs could be delivered, they could replace air ambulances for more rural areas. Better vertical mobility isn’t just for the benefit of high-flying business people, it’s something that can really save lives.